NuJak Development, Inc. was founded on April 6, 1992, in Lakeland, Florida, by Frank Kendrick. Frank chose to start his own business in the construction industry because his father before him worked in the industry, and taught him the ropes growing up. In 1989, he became the first in his family to graduate college with a Bachelor degree in Building Construction from the University of Florida. His entrepreneurial spirit and passion to build a sustainable community led him to start his own company. NuJak’s first project was a new house for Mr. Kendrick’s in-laws. 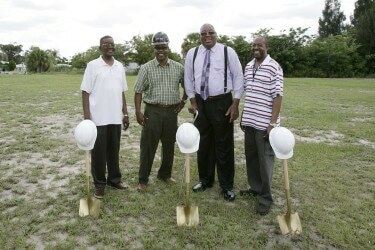 Since that time NuJak has grown to be one of the largest minority-owned construction firms in Central Florida. From its inception, NuJak was destined to be known as a trailblazer, hence its name. Kendrick has taken a personal mission to “blaze trails” in order to make the path easier for those that follow, especially minorities. NuJak has been able to open many doors in areas that weren’t always accessible to minorities and has helped to create opportunities not only for NuJak, but for other minorities in the construction industry. To that end, NuJak was has been certified by the National Minority Supplier Development Council since 2001 and by the Office of Supplier Diversity since 2007. NuJak believes in being a good corporate citizen; therefore, NuJak is actively involved in the community, giving to causes of education and empowerment. In 2007, NuJak began offering scholarships to minority students of Polk County who had aspirations in the field of construction. Executives of NuJak serve on various boards that help to improve and enhance the lives of others; such as Habitat for Humanity, the Lakeland Chamber of Commerce, United Way, AMI Kids, and Lakeland Regional Health. As a result of NuJak’s endeavor to be “the company of choice”, its activism in being a trail blazer and its dedication to the community, NuJak has achieved great success. NuJak was recognized in 2007 and 2008 by Tampa Bay Business Journal (TBBJ) as one of the fastest growing companies in the Tampa Bay area and one of the top minority companies in the bay area. In 2008, NuJak was recognized by INC Magazine as one of the 5000 Fastest Growing Companies in the United States. 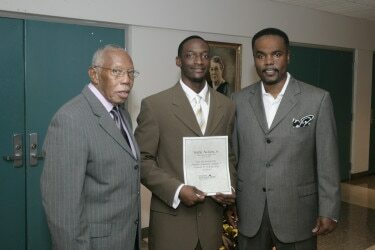 NuJak executives graced the cover of Black Enterprise Magazine’s March 2010 issue, and were recognized by Black Enterprise as 2010 Small Business of the Year. 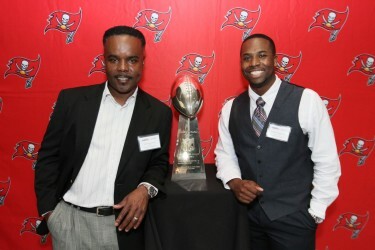 NuJak was also recognized by Power Broker Magazine in 2012 as #11 on their 50 Top Black-Owned Businesses in Tampa Bay. NuJak received the Best New Campaign award with United Way in 2015, and most recently in 2016, was recognized by the Tampa Bay Business Journal on it’s Fast 50 List as the third (3rd) fastest growing company as well as the #18 Minority-Owned Business in Tampa Bay. In the Gulf Coast, NuJak was recognized by The Business Observer’s 2016 Gulf Coast 50 Fastest Growing List, ranked at #31 and made the 2016 Florida Fast 100 List as the 6th Fastest Growing company in the state of Florida. For the past 5 years, NuJak has partnered with Southeastern University, the fastest growing private Christian university in the country, on a $40M+ capital expansion program where, to date, NuJak has built a new 3,500 seat Football Stadium and athletic training center (Oct. 2014), Choral Rehearsal building (Sept.2015), College of Natural & Health Sciences building (Aug. 2015), Soccer Complex (Oct. 2014), Chick-fil-a cafeteria (Sept. 2014), Student Activities Center (Apr. 2016), the Buena Vida Residence (Aug. 2016) and the Buena Vida Food Court completed March 2017. The largest project for NuJak was awarded in 2011, when NuJak became only one of two construction firms in Florida chosen to build the iconic 162,000 square foot Innovation, Science, and Technology (IST) building for Florida Polytechnic University. Completed in September 2014, with an overall budget of $107 million, the state’s 12th and newest public university is focused on STEM technologies. To date, the IST building has earned more than 20 architectural and engineering awards since its completion and been featured in numerous publications. NuJak is celebrating 26 years in business and continues to be blessed in the communities it serves. As a full-service, minority-certified (MBE) construction company, NuJak specializes in providing pre-construction, construction management, design-build and general contracting services. NuJak has offices in Central Florida (HQ-Lakeland and a new office opened June 2016 in Tampa), South Florida (opened in 2014), and a new office in North Florida (opened June 2016 in Gainesville, FL). NuJak caters to multiple industries, including: K-12 & Higher Education, Government, Healthcare, Industrial/Warehouse, Recreational, Commercial/Retail/Office, and Religious industries.